Helen Ross, a twenty-nine-year-old biologist, is sent to a sleepy Rocky Mountain ranching town to defend a pack of wolves from those who want to destroy them. For in Hope, Montana, a century ago, the wolf was slaughtered to extinction and though now protected by law as an endangered species, the old hatred runs deep. Alone in this hostile place, bruised by a broken love affair, Helen struggles for self-esteem and survival, embarking on a dangerous alliance with the son of her most ferocious opponent, the brutal and charismatic Buck Calder. 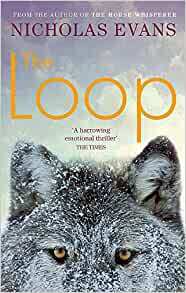 Start reading The Loop on your Kindle in under a minute. 5.0 out of 5 starsI just had to buy his other books! Having read "The Smoke Jumper" I bought "The Loop and "The Horse Whisperer". They were both great and I have since bought ALL his other books. Good decision! This book was simply amazing, gripping, dramatic and Wow!!! It was such a great story line and had you on the edge of your seat. The characters were so well written and so full of emotion and character. You felt as if you were right there watching it happen. I would give this book a ten star rating if I could. The plot was full of suspense and drama, and I could not put the book down. This is a MUST read because it is simply one of the best books. For me this is a far better tail than the "Horse Whisperer"
I've read this so many times but had lost my previous copy. 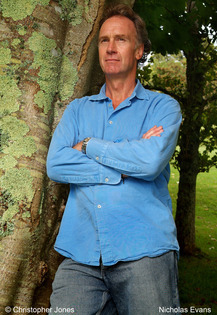 It's a fantastic tale and every bit as good as "The Horse Whisperer" which was written by the same author. Love these two books. Fantastic book. a great read. Have read this book myself and bought it this time for a friend who is really enjoying it. Food delivery as stated.